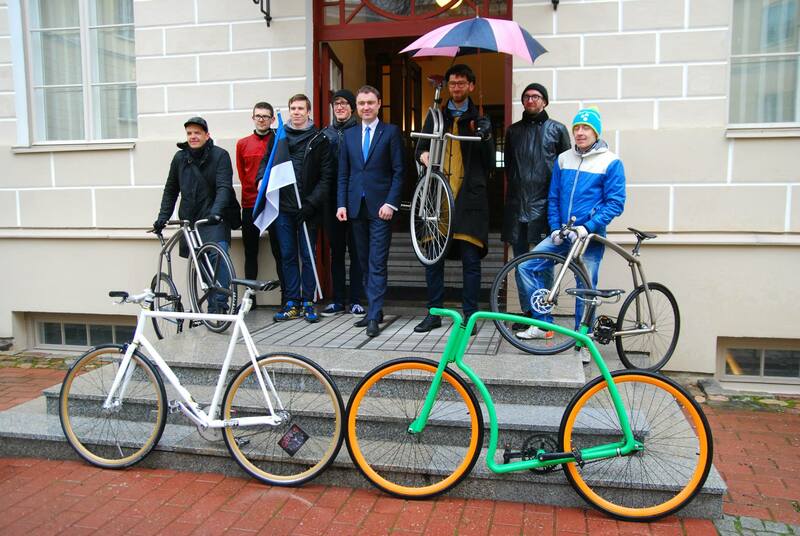 Estonians are world famous for their bold initiatives. This time, a bunch of Estonian riders, will deliver the Estonian blue-black-white flag to the Estonian President riding through the idyllic Italian scenery 700 km and sharing the locals the wired and wonderful Estonian culture. The Estonian flag will be decorating Milan World Expo exhibition 2015 site at Milano the 7th of June, which is the Estonian National Day. Before the flag will reach its final destination, it will be traveling with the group of cyclist 7 days for 700 km visiting Estonians living in Italy and Italians who has connection with Estonia. Visits include the former Fiat's factory complex in Torino and an Estonian winery. At each visit a surprising and fun event is going to take place and documented to be shared for everybody to enjoy on our social media platforms. The 7th of June from 13:00 -14:30 the EXPORIDE will ride the last 10 km starting from EXPO Gate to EXPO Exhibition in company of Milano local riders community. At the World Exhibition for the riders will be waiting the Estonian National Day delegation headed by President Toomas Hendrik Ilves, who will be opening the EXPO with the Estonian National Day. The ride of the 7th of June will start the Estonian Grande Finale at EXPO, where Estonian grammy award winner choir with conducted by Tonu Kaljuste will sing Arvo Pärt’s music at the EXPO Auditorium and the talented band Elephant from Neptune and Estonian DJ boys Eesti Pops will make the EXPO Estonian Pavilion rock. Also an Guinness World record attempt will be made that same night by the crazy team of Estonian Kiiking, which is a sport invented by Estonians, where grown women and men will swing 360 grades around a post. To understand this you have to see it.